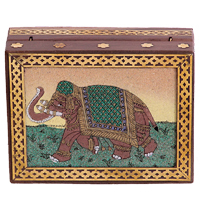 The self carved floral styles and patterns that adorn the whole body of the box create it appealing from outside whereas the purple velvet provides its interior a fragile look. 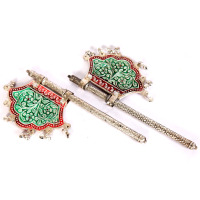 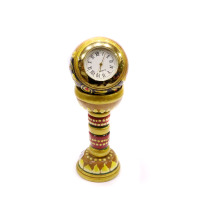 The tortuous self lapidarian patterns that adorn the pankhis create this a final ornamental and gift item suitable adorn the living of individuals with nice inventive style. 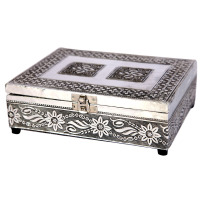 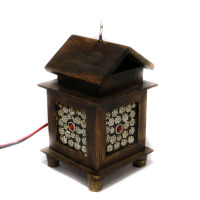 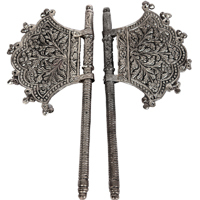 Designed for ornamental functions, the try of ethnic pankhis molded from change silver is adorned with stunning flower patterns self lapidarian into their solid silver base. 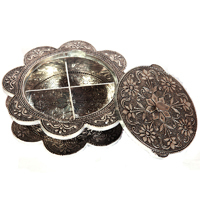 The entire set is created from change silver and has been fantastically adorned with tortuous patterns self lapidarian into the silver base reflective the intense ability of craftsmen. 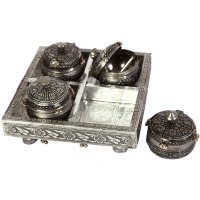 This stunning spherical instrumentation box designed within the form of a flower is crafted from change silver and adorned with glorious self carving on body and lid. 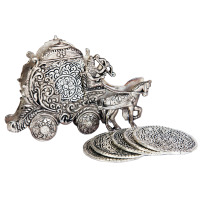 Made from change silver, this elegant trying serving set conjointly options little jingles on the bottom and ids of the containers. 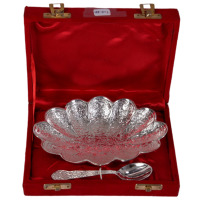 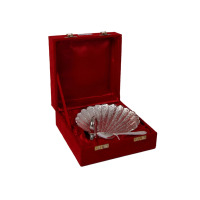 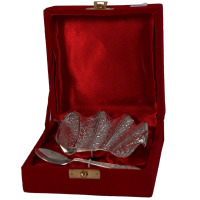 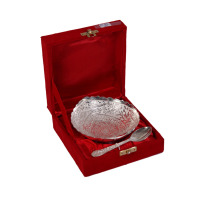 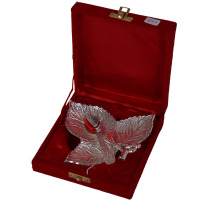 This elegant silver swan formed dish is definitely meant for royalty. 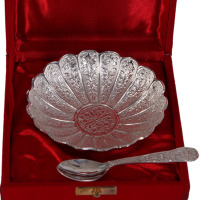 This single piece silver pudding bowl embellished fantastically with hand decorated self embroidery each on the within of the bowl and also the handle of the related spoon create it actually exclusive. 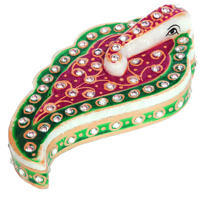 Simply observing it causes you to wish to own quite few items of such ancient jewellery to store within the box and wane special occasions. 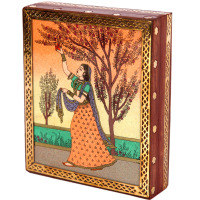 The image of the lady adorned in colorful ancient Rajasthani dress, aggregation flowers kind the overhead branches of a tree, is that the very first thing that pulls onlookers. 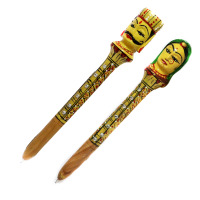 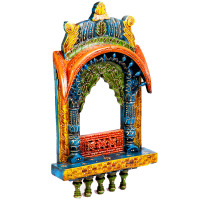 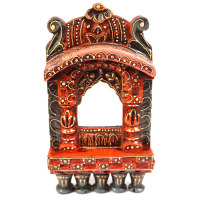 The bright colors employed in the correct proportions, bring out the sweetness of the convoluted self-carving and also the splendid style of the jharokha during a distinctive manner. 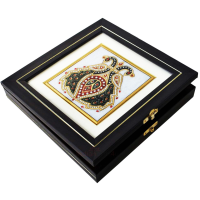 The beautiful gold patterns that adorn the design provides it Associate in Nursing intense royal look and create it an ideal gift item for any occasion. 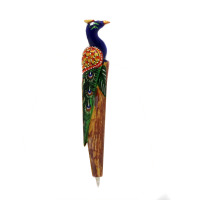 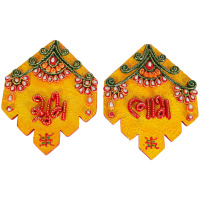 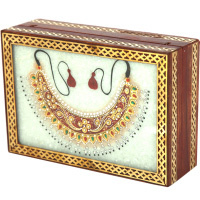 The vibrant colors of lak work along with the beautifully placed beads make this set a prize possession. 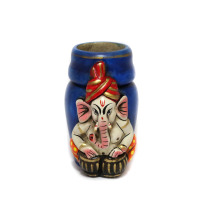 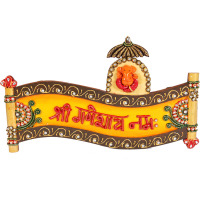 With Ganesh Idol appearing on the header, this work is defined to serve your artistic needs. 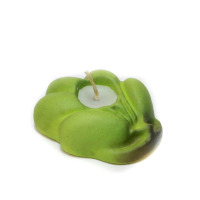 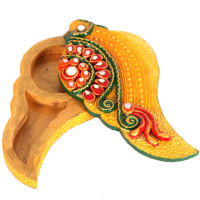 The very lively yellow color makes it appear even more true to its feel. 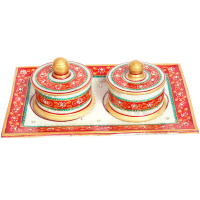 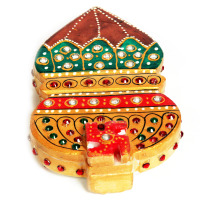 The sheer beauty of the ethnic bead and lak work done in orange, red, green and white colors. 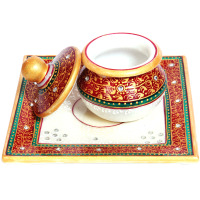 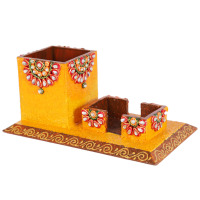 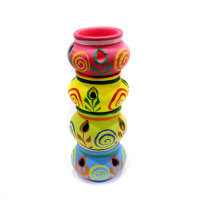 The intelligent use of colours and the strategically placed beads-work on both the marble plate and the containers makes it prefect decorative and gift item for any occasion. 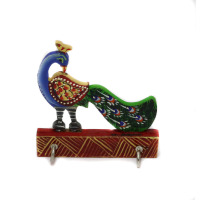 The gorgeous combination of red and green colours along with the well placed beads and stones give a royal look this extremely elegant marble art piece. 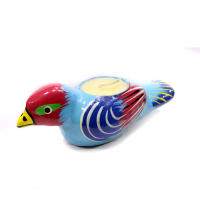 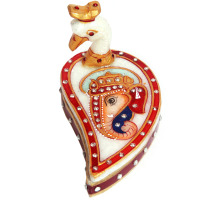 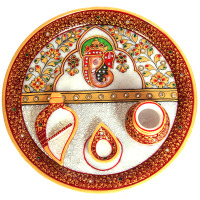 The finely detailed peacock chopra in white base looks so beautiful with the red border – embossed with minakari work. 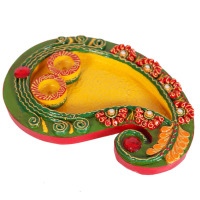 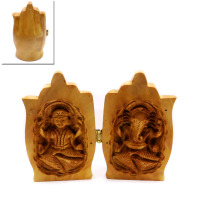 With lord Ganesha figure placed on the cover lid. 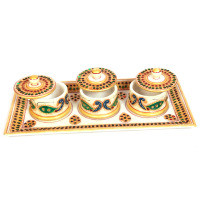 This artifact is beautifully adorned with subtle strokes of hand-painted kalash design on selected marble stone.